NEW MINI 5 DOOR HATCH. At Barretts MINI we have a number of MINI 5 Door Hatch offers available and we can even tailor an offer specifically for you, so you can get the MINI 5 Door Hatch you want at a monthly repayment and deposit that suits you. Speak to a member of our friendly team today for your no obligation quote. A MINI hatch has never felt so spacious or practical. With an impressive 278L of boot space - that’s 60L more than the 3-door, - five ways of getting in and 5cm more legroom in the back, this MINI is meant for sharing. 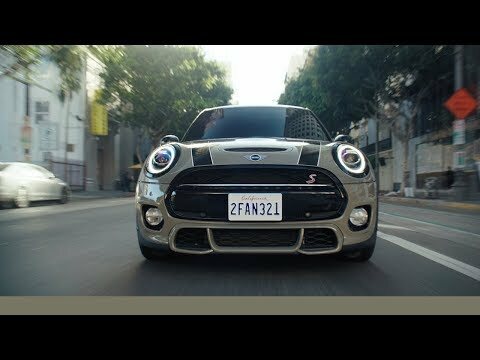 However, it doesn’t mean that the unique MINI driving experience has been compromised. By lowering the centre of gravity, along with stiffer suspension and increased track width, the 5-door MINI still has that go-kart feel. ​THE MINI 5-DOOR HATCH IN MORE DETAIL. A true iconic MINI but with five doors, the all-new MINI 5-door hatch is super small, yet extremely practical. It's designed to give you more options to suit your personal style, without sacrificing MINI's classic go-kart handling. With a focus on British Heritage, the new MINI hatch range features new Union Flag LED rear lights. These lights are a subtle touch and reference to our heritage which are both eye-catching and energy efficient whilst producing a clearer and brighter light. Enjoy greater convenience and control whether you're inside or outside your MINI. With fast and reliable connectivity, enhance your driving experience by ensuring you and your passengers stay connected throughout your journey.